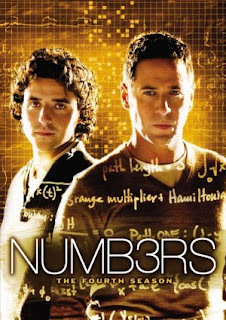 It has been a while since Numb3rs has dealt with an information security topic so badly that it warranted my attention and "Frienemies" does not disappoint. The episode begins with a botched robbery of a high school--it seems that a bunch of would-be laptop thieves were stopped by a vigilante group called Vanguard. On the way out of the school, a member of the Vanguards drops a cellphone on the gym floor. The FBI bags the phone as evidence and sends it back to the lab for analysis. FBI Geek: Someone scraped off the MIN...and the ESN. FBI Geek: The MIN is the phone number, the ESN is the electronic serial number. For those of you who are not familiar with cell phone cloning, the MIN, or Mobile Identification Number, and the ESN are the two pieces of information cell phone providers use to identify a phone when it connects to their networks. If you copy both the MIN and ESN to another phone, that second phone will be indistinguishable from the first. However, this only applies to cell phone networks that use CDMA, such a Verizon and Sprint. More on that later. Both the MIN and ESN are electronic and embedded in the memory of the cell phone, so they can be removed--or changed in the case of cloning--by removing the memory chip or overwriting the memory location in which they are stored. The cell phone manufacturers have tried to make this more difficult, but a knowledgeable attacker can still accomplish it with the right hardware and software. Manufacturers also put stickers printed with the ESN on the phone to make it easier to find, but scraping off that sticker will not erase or change it. The FBI, being completely stumped but the low tech approach to hiding the ESN, bring the cell phone over to CalSci for further analysis. Charlie and Amita, being avid Wikipedia readers*, explain to the FBI that they can extract the data from the cell phone with a cold boot attack, "also know as a cold ghosting attack [or] iceman attack." Amita freezing the memory chip with an upside down can of liquid air. Notice that the sticker is no longer scraped off. What Amita freezes and subsequently pulls out of the cell phone is a SIM card, which are used almost exclusively in GSM cellphone networks, not CDMA. There are many technical differences between CDMA and GSM, but the most important here is how subscribers are identified on the network. SIMs, like other smart cards, use non-volatile memory to allow for long term storage of data without the need for a power source. As we know from my previous write up on cold boot attacks, cooling is only needed if you want to read data from volatile memory. In other words, Amita simply needed to remove the SIM card and put it into the reader--freezing it would have made no difference at all. Better yet, Amita or the FBI could have simply read the 18-digit serial number off of the SIM card to figure out what account the phone was linked to. The writers could have even had Charlie figure out a missing part of the serial number by using the check digit, which would have had the extra benefit of adding one of those the layman explanations of complex mathematical subjects with cool graphics. * I bet you are wondering how I know that Charlie and Amita read Wikipedia? Simple: it is the only place outside of a somewhat obscure Microsoft technical publication that refers to the cold boot attack as "iceman." My Own Worst Enemy "Butterfly"
In July 2008, a group a researchers from Princeton University released a paper that described a new technique that recovered encryption keys from volatile memory on a freshly rebooted laptop. This technique is now known as a cold boot attack. These findings went against a long standing assumption that once power was cut to this type of memory, all data would be lost almost immediately. Volatile memory, commonly known as RAM or Random Access Memory, is used by a computer to store data it needs temporarily for computational activities. Long term data storage is done with non-volatile memory, such as a hard drive or USB key fob. A frequent way to describe the difference between the two is to say that volatile memory loses its data when a computer is turned off, but non-volatile memory does not. This distinction is often used when computer software is designed. For example, when an application stores passwords on a hard drive they are (hopefully) encrypted; when those passwords are moved into memory, they are typically stored in plain-text. It was generally assumed that this was a safe practice, and in defense of this type of thinking, encrypted data has to decrypted at some point in time and non-volatile memory is the safer place to store the plain-text. To prevent attackers from grabbing passwords and other sensitive information from running memory , developers began clearing, or wiping, the areas of non-volatile memory that contained the sensitive data once it is no longer needed. Some operating systems also provide an additional level of protection by preventing other running application from accessing the memory locations where the sensitive data reside. The decrypt and wipe process works fairly well for applications that only need to use the password or key once at start up, or intermittently during user activity, but for high performance applications that need a password or cryptographic key for every transaction, it may not be feasible from a performance stand-point. One such application is full disk encryption. Modern hard drives are capable of transferring 80 or more megabytes of data per second, so you will see a pretty substantial performance decrease every time the operating system has to transfer encrypted data to or from the hard drive. If you have to decrypt and then wipe the encryption key every time you read or write data, you make these performance problems much worse. To reduce this additional overhead, most whole disk encryption software loads the plain-text encryption keys in memory at startup and rely on the assumption that the key is erased when the computer is shutdown or loses power. Which leads us back to the Princeton researchers. What the researchers discovered is that non-volatile memory actually loses its data slowly and predictably over a time frame of a few seconds to a few minutes. This allows an attacker to cut power to a computer and reboot it with a specially designed operating system and extract the encryption keys from memory before the data has time to fade away. Additionally, they found that when the memory chips where cooled to -50 °C, you have more than enough time to remove the memory chip and read it on another computer or device. This can be accomplished by spraying the chip with an upside down canned-air spray duster, such as Dust-Off. For more advanced attackers, the chip can be cooled with liquid nitrogen to increase the decay time to a few hours. The writers of this episode got most of their facts right, but in the first clip, the tech guy says that cooling the memory chips enables you to extract the keys, which is not correct because you can actually perform that attack without doing so. 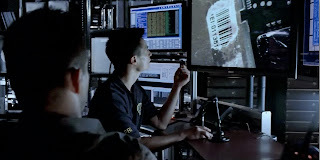 The second clip shows one of the agents pulling a single cooled memory chip from a server and putting it into a device that extract the encryption keys. In this scenario, the cooling would be important to give the agent time to remove the chip and install it in the second computer. The problem I have with this scene is that, unlike laptops, servers usually have several memory chips to provide redundancy and additional capacity. Depending on how the server spreads the data out across the individual chips, pulling out only one chip, or pulling out one chip at a time, would probably not get you the encryption key. To make things worse, the agent pulls the chip out of what appears to be a running system, which would potentially introduce unpredictable errors into the memory and would likely cause a complete system failure unless the system had hot swappable memory. The only way to ensure that the keys would be extracted in the short period of time that agent had, rebooting the server with the special operating system would be the only viable approach.